The Athena International 25th anniversary announcement party and celebration to announce this year's winner will be presented by the Delaware County Chamber of Commerce on Tuesday, October 15th at 4 pm at Margaret Kuo's Peking in the Granite Run Mall. 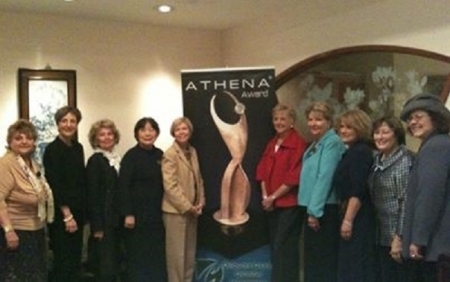 Since the programs inception in 1982, nearly 6,000 exemplary leaders in over 500 communities have received the prestigious ATHENA Award in the United States, Bermuda, Canada, China, Greece, India, Russia, Unite Arab Emirates and United Kingdom. By honoring exceptional leaders, the ATHENA Leadership Award Program seeks to inspire others to achieve excellence in their professional and personal lives.